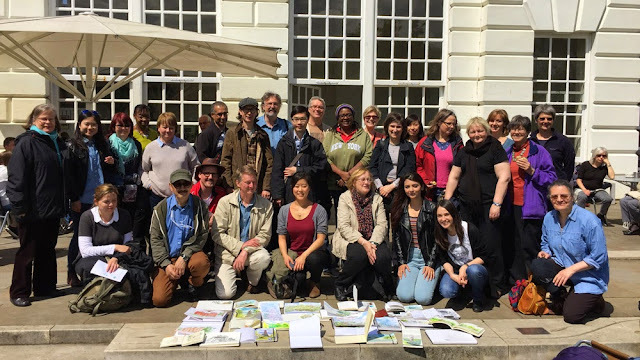 You don't often see very tall Pagodas and huge glass Palm Houses being drawn by Urban Sketchers - but that's what lots of London Urban Sketchers were sketching last Saturday. 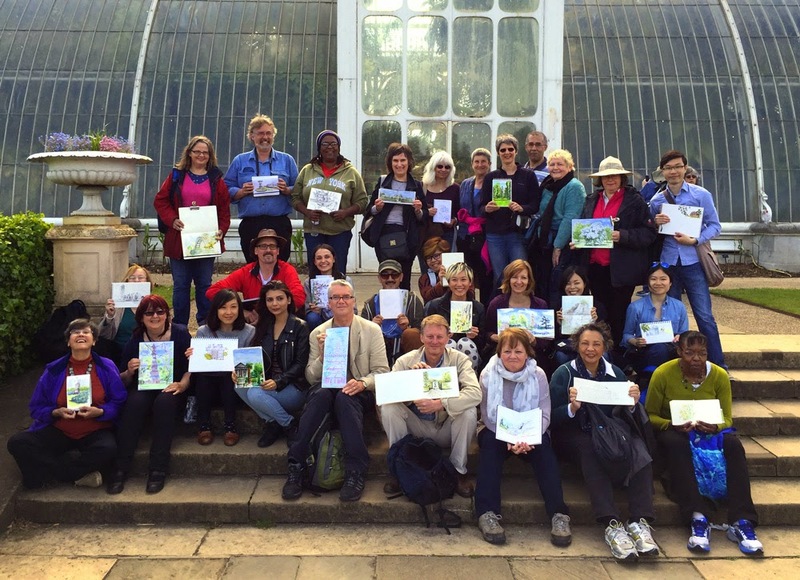 Our sketchcrawl to the Royal Botanic Gardens at Kew was a big success helped no doubt by the very fine weather. We also had people arriving from all over - with urban sketchers hailing from Northamptonshire, Cambridge, Eastbourne, Iceland and Portland Oregon. You can read more about about the visit to Kew Gardens and see more pics on the blog post Palm Houses and Pagodas on a sunny sketching day at Kew Gardens on the Urban Sketchers London blog. Here for now are the group pics I took at lunchtime and the end of the day.